Most of us have heard of the legend of Rome’s birth. The ancient conception of the city via Romulus and Remus’s extraordinary upbringing by a she-wolf who saved and nurtured them. If you believe it, be my guest! Try to prove it while you’re here for your Trinity CertTESOL! And we’ve heard as well of the founding of Rome on its 7 hills. Yet we often walk through Rome and we forget that the hills really exist (until you hit Monti and your thighs really start feeling the burn, uff… That’s where we are with a little morning exercise every day). For the best views of Rome, one has to visit the hills! Through the ages, the city has expanded to today incorporating 13 hills. They’re occupied with monuments or parks and give some of the best glimpses of Rome. When we think of high views, we associate it with the panoramas from the Empire State Building, the Eiffel Tower or the Burj Khalifa, not such a low city like Rome, but you’ll be delightfully surprised though to find such beauty sites from atop of the Eternal City. Built on the base of the Capitoline Hill, some Romans may refer to it as the ugly overly frosted wedding cake or a white typewriter, yet regardless if you want to consider it the heart of the fatherland (Italy) or a pompous piece of architecture, the one thing that’s undeniable about this monument is its rooftop platform, just a few minutes away from our TEFL school. 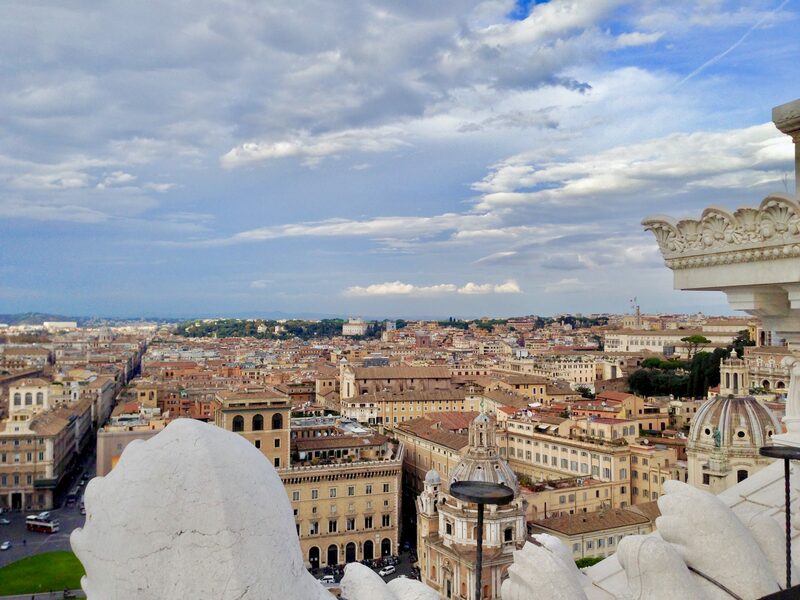 From atop you’ll have the finest 360° panoramic view of all of Rome, and you’ll feel as if you’ve conquered it all. So, hurry on your way to Piazza Venezia, trying not to get run over by the concentration of all of Rome’s traffic on the roundabout, and get on the back elevator to the top. To access the platform, which is opened daily, you’ll have to pay the €7 per person fee, but the small fee is beyond worth it. Plus, you don’t have to climb any stairs! If you’re not a fan of stairs, I’m going to have to break it to you, but you better start liking them, because the best thing the Vatican has, in my opinion, is the view. 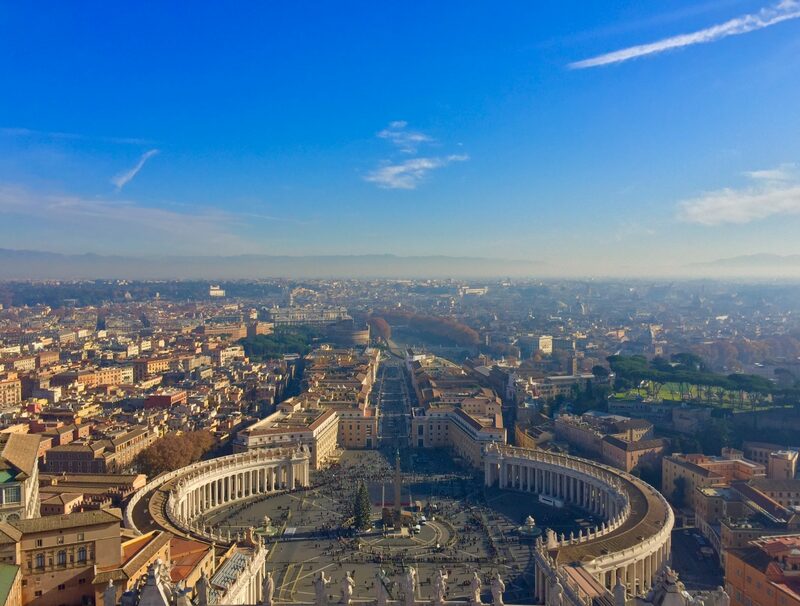 St Peter’s Basilica is situated on top of the Vatican Hill, and while the Sistine Chapel and the Raphael’s are beautiful, the view from the atop of the dome is truly priceless. Watching how the arms of St Peter’s enclose and hug Rome and draw your attention outwards and onwards into the city, is beautiful. For €5 you get to see the borders crossing between two countries. Also, the achievement of having climbed 551 steps, still having oxygen in your lungs, and not fainting will have you opening your eyes to the beauty of Rome and truly conquering it. On what today is considered one of the most ancient areas of Rome, the Gianicolo Hill lies in trendy Trastevere and looks out onto all of Rome’s north and right bank. 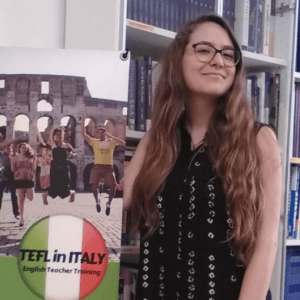 Nearby, in Trastevere, is most likely where you’ll be living during your stay if you choose TEFL in Italy‘s accommodation with us. The sunset light hits the city’s tiles and cupolas perfectly, bringing a brilliance to the air. 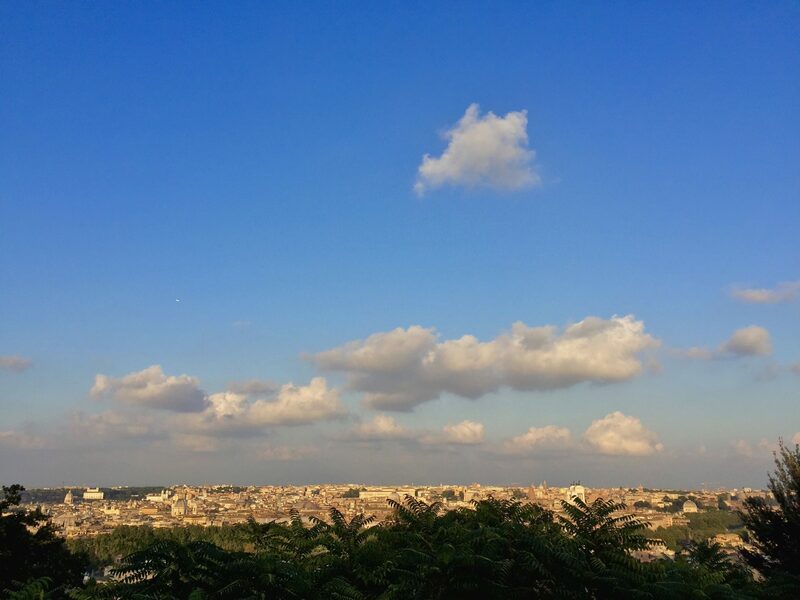 You can easily identify each and every of Rome’s monument from this hill as the sun shines on them. Every day at noon, you can hear a cannon being fired to mark the time of day, a tradition that’s been alive and going on strong for 171 years thus far and having only been interrupted once. It’s free and open to the public, and you can let your feet guide you up the hill to watch the Roman afternoon sun and sunsets over a bottle of wine.